God is not a liar. 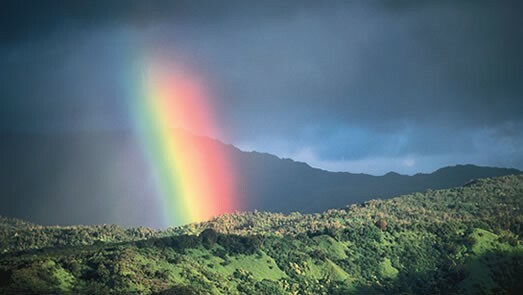 God has promised salvation to all those who trust upon the name of Jesus Christ... “For whosoever shall call upon the name of the Lord shall be saved.” God gave us the rainbow as a token that He is an honest God Who keep His promises. Yet, those who deny Eternal Security call God a liar. The Scriptures expose Dan Corner as a big liar. The Bible teaches that salvation is a “free gift” (Romans 5:15; 6:23). Ephesians 2:8,9 read... “For by grace are ye saved through faith; and that not of yourselves: it is the gift of God: Not of works, lest any man should boast.” A gift means a gift, with no strings attached. The very idea that salvation is CONDITIONAL (as Daniel Corner teaches) upon the life we live negates the gift of God. In John 6:29 Jesus tells us the only “work” we need to do to be saved... “Jesus answered and said unto them, This is the work of God, that ye believe on him whom he hath sent.” That's it, to BELIEVE (i.e., trust) upon Jesus to forgive one's sins. We are sinners and Jesus is the Savior. That is the simplicity of salvation. Dan Corner is a false prophet! The Word of God exposes Mr. Corner as a false teacher because he requires self-righteous works for salvation. Adding anything to faith alone in Christ is a guaranteed road to Hell. If we are not saved by good works, then how can we be lost by bad works? Salvation is of the Lord. We are NOT saved by our own self-righteous efforts; but rather, by the righteousness of Christ Jesus. Jesus paid a debt He did not owe, because we owed a debt we could not pay. Thank God for the gift of His only begotten Son. Dan Corner places a heavy burden upon sinners, teaching that their salvation is CONDITIONAL upon holy living, denying the flesh and avoiding certain sins. If this were true, then how could salvation ever be a free gift? It couldn't. By every definition of the word “gift,” it must be offered free of ANY OBLIGATION OR COMPENSATION. Carefully notice in Romans 12:1 that the Apostle Paul pleads with the believers at Rome to live for the Lord... “I beseech you therefore, brethren, by the mercies of God, that ye present your bodies a living sacrifice, holy, acceptable unto God, which is your reasonable service.” Notice that Paul said it was their “reasonable service”; not their required service. 1st Corinthians 6:20 tells us that we are bought with a price, i.e., the blood of Jesus Christ. God gave the ultimate sacrifice to pay for our sins. 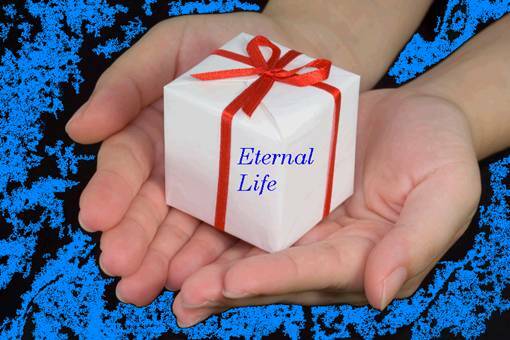 Thus, eternal life is a free gift that does not require any compensation, obligation or prerequisites to receive it. God does remind us that He paid a great price and we ought to live for Him; but this is NOT mandatory to have the gift of eternal life. In 1st Corinthians 5:1-5 we read about a Christian man, a member of the Church of Corinth, who was living in open fornication in the church. He was carnal and the church was also carnal (1st Corinthians 3:1). 1st Corinthians 5:5 reads, “To deliver such an one unto Satan for the destruction of the flesh, that the spirit may be saved in the day of the Lord Jesus.” This Christian man was living in unrepentant sin and Paul said to give him over to Satan for “the destruction of the flesh,” but notice that Paul also said the man's spirit would “be saved in the day of the Lord.” He was saved and DIDN'T lose his salvation. I recently saw a commercial on TV offering a “gift” to anyone who opens a new account at their bank. That is false advertising. If I am required to open an account to get the “gift,” then it's NOT really a gift, it is a reward. There is a big difference between a gift and a reward. Eternal life cannot be lost, because it is not ours to give. Salvation is of God alone. Our only part in salvation is to BELIEVE... "This is the work of God, that ye believe on him whom he hath sent" (John 6:29). The greatest argument against those who teach that salvation can be lost is this... If salvation can be lost by our own sinful words, attitudes, or actions, then self-righteousness is part of salvation. Romans 10:3-4 condemns such thinking... "For they being ignorant of God's righteousness, and going about to establish their own righteousness, have not submitted themselves unto the righteousness of God. For Christ is the end of the law for righteousness to every one that believeth." Those who claim that salvation can be lost are guilty of teaching salvation by self-righteousness. If I have to maintain a certain degree of faithfulness to God, a holy lifestyle, and a certain amount of faith to remain saved, then I am earning my own salvation. Ephesians 2:8,9 clearly refute such thinking... "For by grace are ye saved through faith; and that not of yourselves: it is the gift of God: Not of works, lest any man should boast." No one deserves to go to Heaven. We all deserve Hellfire. We need HIS RIGHTEOUSNESS to be saved (2nd Corinthians 5:21); and not our own. I was recently reading an excellent book, 508 Answers to Bible Questions, by M.R. DeHaan M.D.(1891-1965). Now Dr. DeHaan was a great man of God, and I respect him dearly; BUT, I disagree with something he said in his book concerning the Eternal Security of the believer. Dr. DeHaan DOES believe in eternal security; however, he said that those who don't are still saved, just so long as they are trusting the Saviour. Now, I have a big problem with that type of thinking. Why? Because the very idea that someone can lose their salvation, places salvation in men's hands, instead of 100% in God's. As born-again believers, why would anything we do affect whether or not we're still saved? Did we have to do any good works to get saved? No!, we simply rested upon the Saviour, because He paid the price for our sins with His blood. We did NOTHING to merit or deserve salvation. Salvation is of God, not man. Our part is to believe on Jesus Christ (Acts 16:31), and God's part is to save (Isaiah 43:11). The biggest flaw in the thinking of the enemies of Eternal Security is that they fail to realize just how sinful they are themselves. They hypocritically condemn other believers who live in unrepentant sin, failing to realize that they're just as sinful in God's eyes. If salvation can be lost, then who is righteous enough to keep their own salvation? Only a self-righteous hypocrite would claim to be self-righteous enough to please God. Isaiah 64:6 puts Dan Corner to shame... "But we are all as an unclean thing, and all our righteousnesses are as filthy rags; and we all do fade as a leaf; and our iniquities, like the wind, have taken us away." I thank God that my salvation is solely in the hands of my righteous Savior Jesus Christ; and not dependent upon my own sorry, frail, insufficient, rotten and sinful self-righteousness. Critics of Eternal Security are hypocrites. They are no less sinful than the adulterous believers they condemn. They condemn other believers, whom they consider more sinful than themselves, accusing others of losing their salvation, but they're just as much dirty, rotten, hell-deserving sinners, who fail to see the sinful beam in their own eye. A correctly understood gospel—salvation by grace alone through faith alone on the basis of Christ's finished work alone—mandates eternal security. On the other hand, if one is trusting in one's works or a “commitment” to perform works or to live a certain way to be saved, then salvation cannot be assured, and the doctrine of eternal security is either negotiable or is denied.